Sign up for deals & updates! No time to search for a home - let us find you some options, just fill out the information below, and we will send you some suggestions. The Orlando holiday fun doesn’t end at Christmas! 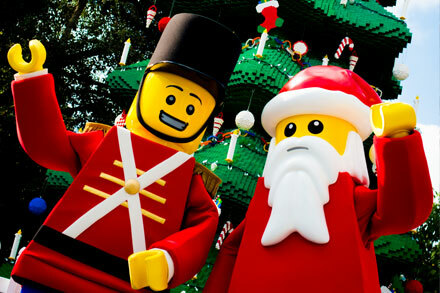 From LEGOLAND’s Bricktackular to SeaWorld’s Christmas Celebration, there are plenty of spectacular family events going on after Christmas and through the New Year! Every Saturday and Sunday in December, you and your little ones will be able to participate in extraordinary holiday-themed LEGO® builds, interact with LEGO Santa and LEGO Toy Soldier Characters and experience snow falling down on Fun Town. Nightly fireworks will begin on Dec. 26 and will last until the end of the year, culminating in LEGOLAND’s New Year’s Ever Party on December 31! 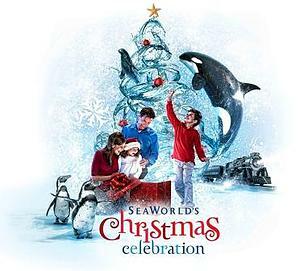 Watch whales soar through the air and celebrate with the crowd as you enjoy Shamu’s Christmas Miracles. Carols fill the air while ice skaters perform their holiday dances during Winter Wonderland on Ice, and you can travel to the North Pole on The Polar Express Experience before heading to see Santa at the delicious fireside feast! 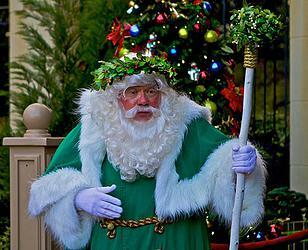 See how other cultures celebrate their winter holidays at Epcot. This holiday celebration features a Candlelight Processional (select nights only) with a retelling of the Christmas story by a celebrity narrator, a 50-piece orchestra and a mass choir. You can also enjoy special Candlelight Dinner packages as well as the spectacular fireworks, laser and water presentation Iluminations: Reflections of Earth. When the holiday season hits full swing, Universal’s Islands of Adventure will transform its Seuss Landing area into the whimsical world of Grinchmas. Be sure to explore every nook and cranny of this wintry wonderland, as it’s filled with special touches Dr. Seuss fans are sure to adore. 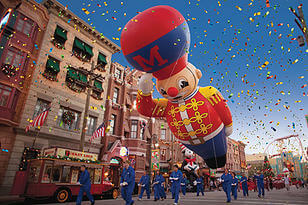 Celebrate the 13th annual Macy’s Holiday Parade at Universal, which features balloons and floats that appear in the Macy’s Thanksgiving Day Parade the month before, as well as an appearance by Mr. Claus himself. Stroll through the Holiday Village and treat yourself to gifts, candy and crafts that the whole family can enjoy. 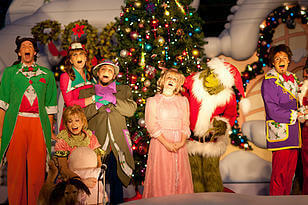 Have you been to any of these theme park holiday events? What was your favorite part? © 2019 Orlando vacation rentals, homes, villas, condos near Disney Kissimmee All Rights Reserved. Developed by VRS Software.